Get the supplies ready: You would need a couple of measuring cups, plastic spoons, a strainer made of stainless steel or plastic, a bowl, a jar, a breathable lid, tea bag or muslin bag and finally water. 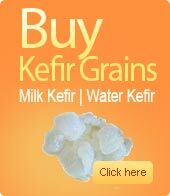 For 1 tablespoon of kefir grains, you would ideally need 1 cup of water. Choose dried fruit: Apart from adding flavor to the kefir, dried fruits also add nutrients and minerals to the water kefir. You should choose dried unsulphured fruit instead of sulphured fruit. For 4 cups of water kefir, a handful of dried fruits is sufficient. 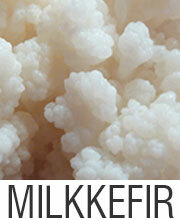 Prepare the kefir grains: Strain off the liquid in which the kefir grains are dispersed. After straining off the liquid, rinse the grains with spring water by placing them in a clean bowl. Strain and rinse till you are satisfied.After preparing the kefir grains, place them in your fermenting jar. You must ensure that the fermenting jar is large enough to hold the water. There must also be adequate space between the lid and the water level. Feed the grains: Now, you should add sugar into the jar. The ratio that you need to follow is 1 tablespoon of sugar for every 1 tablespoon of kefir grains. Alternatively, you can also use honey, although it is not preferred due to its antibacterial properties which may result in the weakening of grains. You should add the dried fruits after stirring the sugar. Finally, add the water and stir the mixture with a plastic spoon. 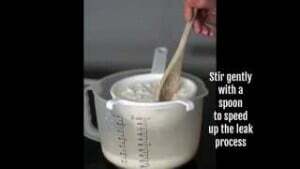 After stirring, add the lemon wedge if you desire. Cover and ferment: Finally, the jar should be covered with a breathable lid. Place the jar in a cool place away from sunlight. It should be allowed to ferment for about 24-48 hours. 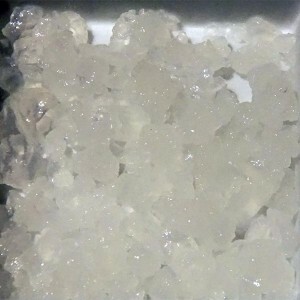 Strain: After 48 hours, place the strainer over a plastic bowl. Pour the entire contents of the jar in the strainer and let the kefir strain, leaving the grains in the jar. Add flavor and repeat: After straining the water kefir, pour it into a storage bottle or eat it right away. Alternatively, you can also add certain fruit flavors to enhance its taste. Finally store the grains so that you can feed it later and repeat the process. If you follow these 7 simple steps, then you would be easily able to make authentic water kefir. 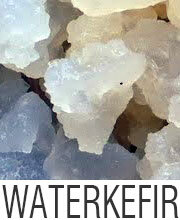 If you follow these 7 simple steps, then you would be easily able to make authentic water kefir. How to rehydrate water kefir grains ? This entry was posted in Water kefir and tagged Home-made water kefir, How to make water kefir ?, Make water kefir at home. Bookmark the permalink.